Mazda isn’t messing around when it comes to getting noticed, not only for its sporty driving appeal but also for edging its competition with large doses of luxury and premium design traits. 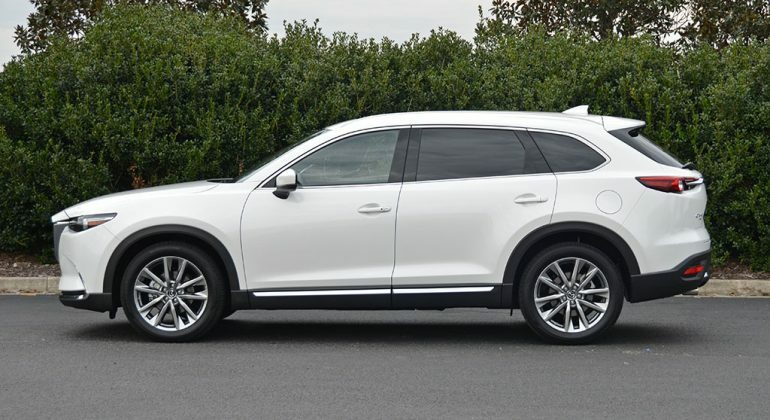 When it comes to Mazda’s largest vehicle, the CX-9 three-row-crossover, luxury is delicately mixed in with the brand’s historic sporty driving characteristic to ultimately welcome a larger audience. 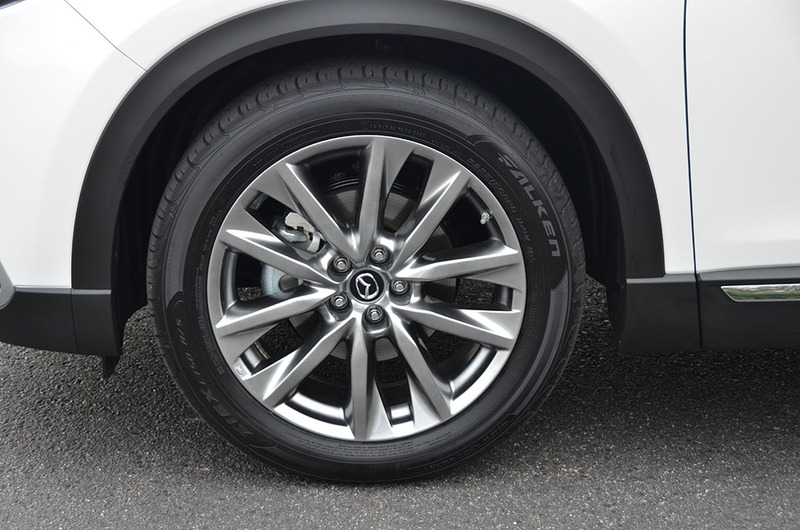 The changes for the 2018 model year include a G-Vectoring Control that is said to improve upon steering and stability when making turns, which during my week with the CX-9 proved to keep the body more controlled when pushing the big crossover harder than most would ever do. 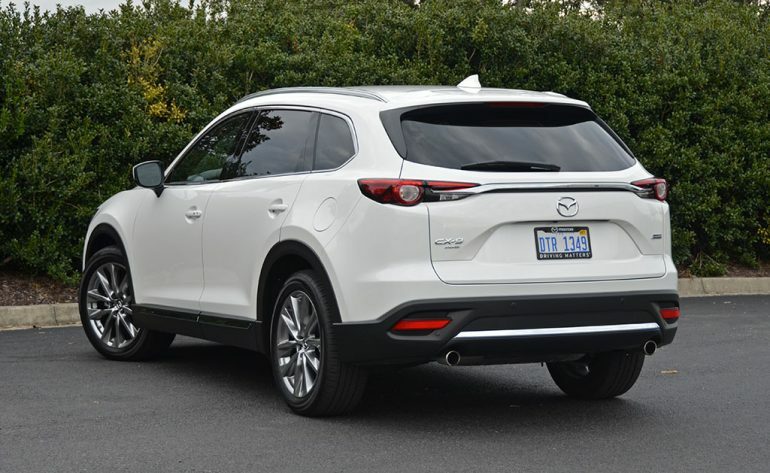 Moreover, after a full redesign for the 2017 model, the 2018 CX-9 now get a bevy of safety features as standard equipment through the model range, such as blind spot monitoring. 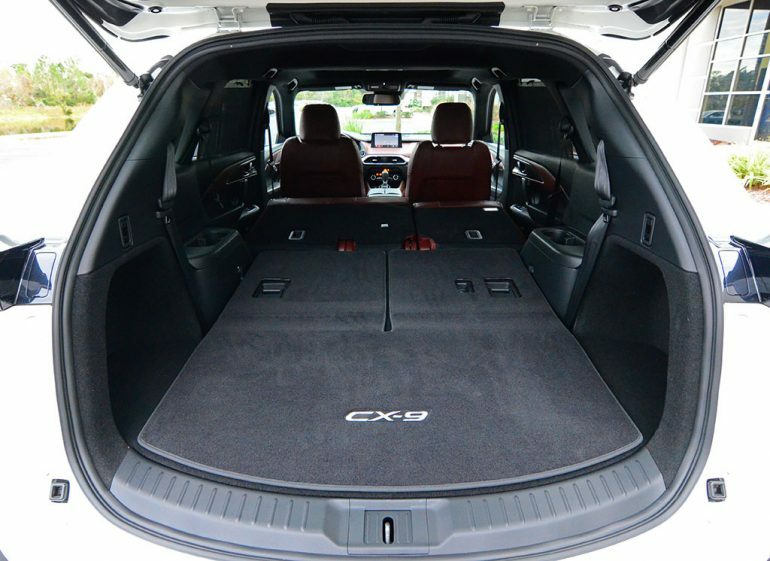 The Mazda CX-9 has long appealed to many as an alternative offering for those who require 3-rows of seating. 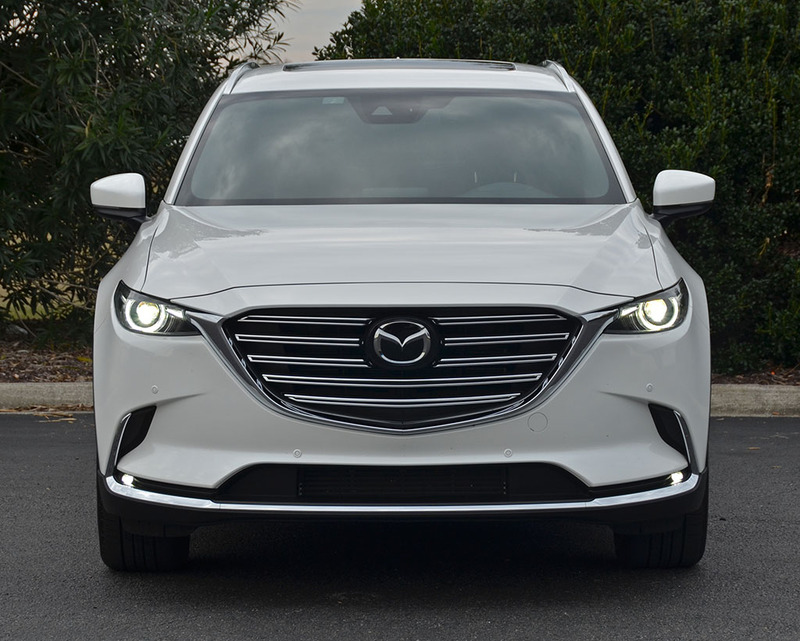 In its latest iteration, the CX-9 is more versatile in that it plays up its stunning looks to depart from the norm and gives the masses a unique sporty style that isn’t overly done to offend the conservative buyer. 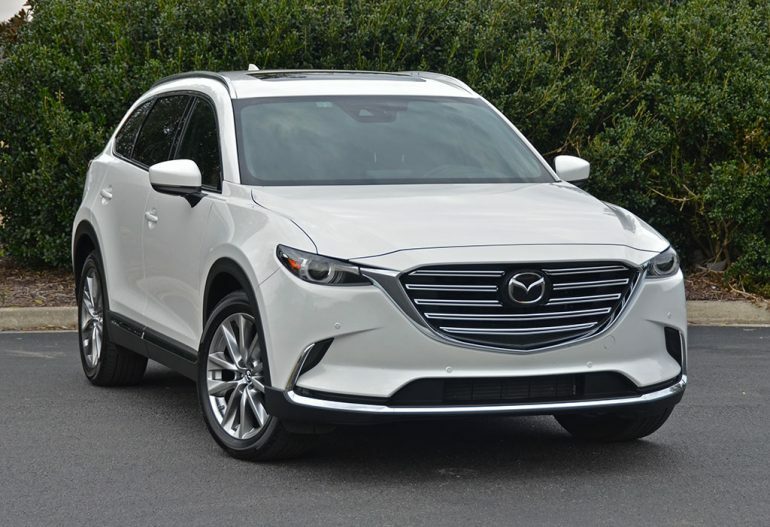 Powered by the brand’s latest 2.5-liter four-cylinder turbocharged Skyactiv engine with 227 horsepower and 310 pound-feet of torque, the CX-9 is a respectable performer. Coupled with my top-trim-level CX-9 Signature AWD’s ability to claw at all four wheels, Mazda’s three-row-crossover gets up to 60 mph in about 7.3 seconds. 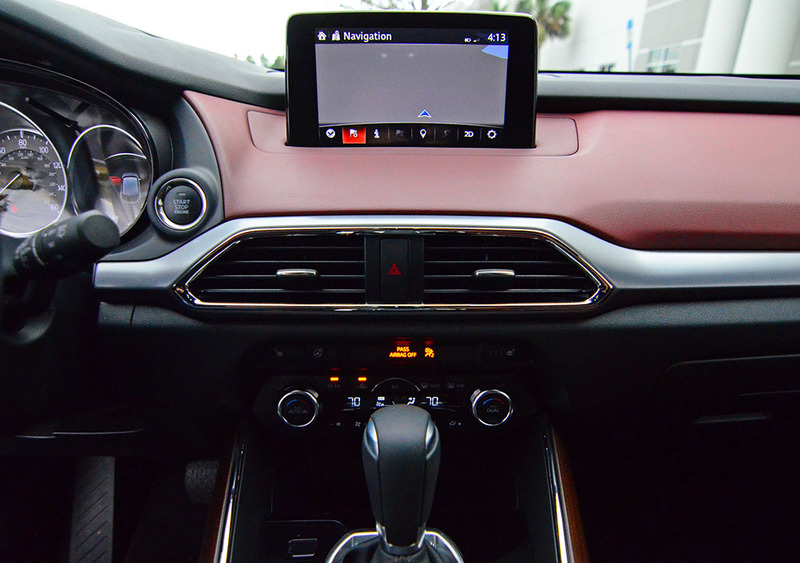 Leveraging a new electronically-controlled power vectoring system, the CX-9 handles surprisingly well with a crisp response to steering inputs never playing a guessing game with the driver. Most of where you point the CX-9, it goes, which is a good thing considering the brand’s sporty driving signature. 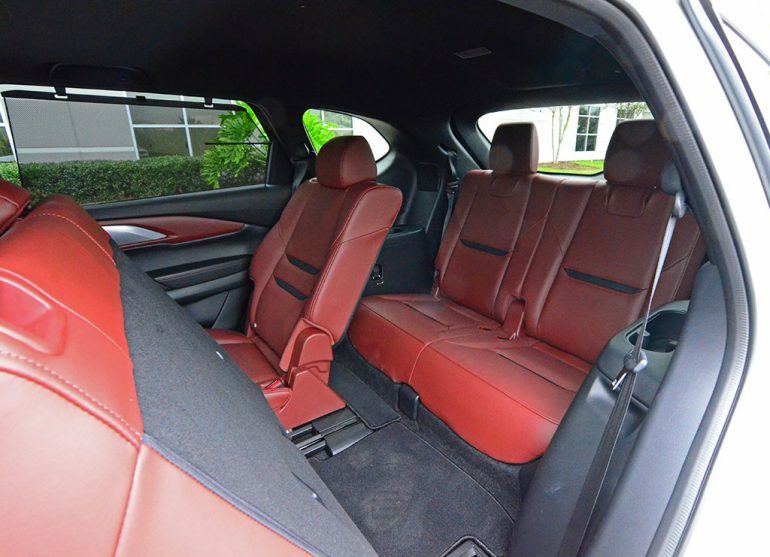 The sportiness of the CX-9 hardly ever overshadows its good ride quality and ability to soak up bumps and road imperfections. Applying mid to full throttle emits a bit of drivetrain harshness as the 310 lb-ft of torque surges through the 6-speed automatic transmission to all four wheels. 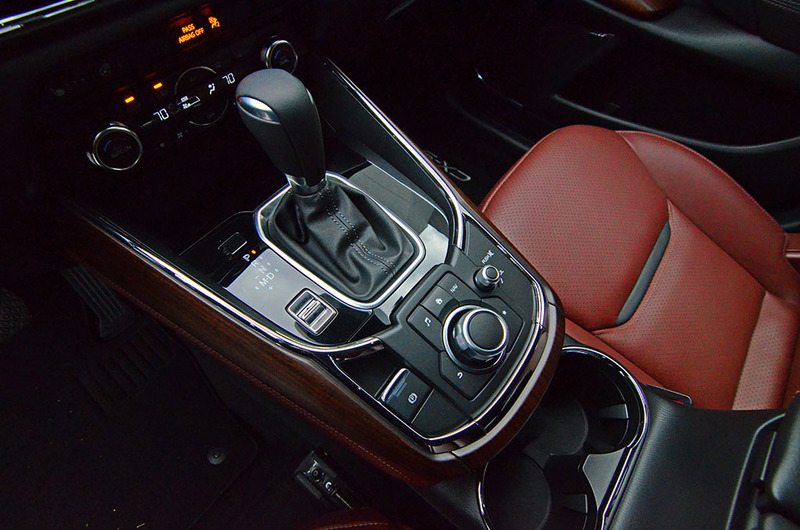 In all, the CX-9 in the top AWD Signature trim has a direct feel as if it is more connected to the road than all other mainstream three-row-crossover vehicles on the current market. 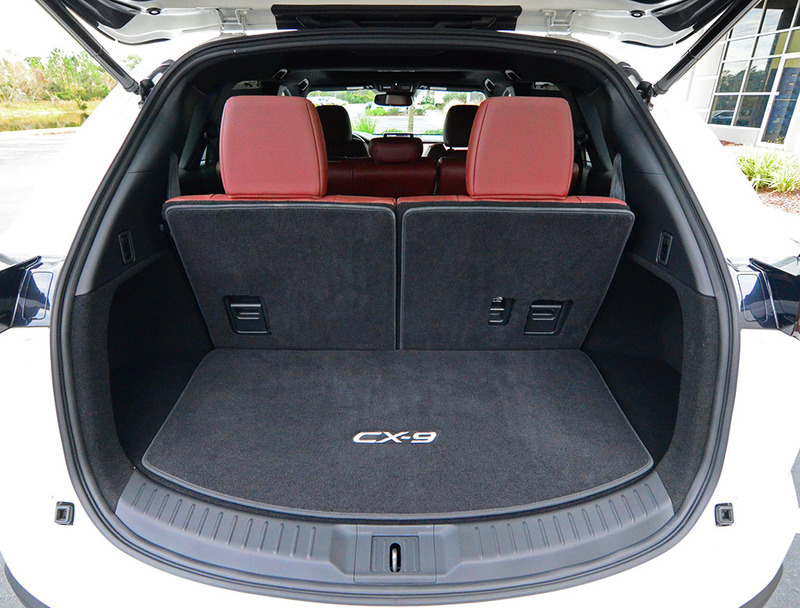 The shortness of the body and overall size of the CX-9, not too big and not too small, aids to make the driver feel more like a large sports sedan rather than a large crossover. 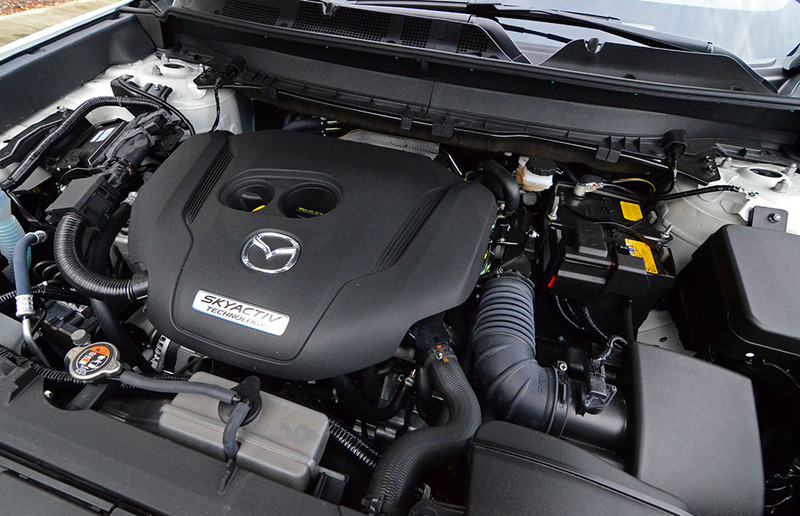 Fuel efficiency is more on a level playing field for the CX-9 in the all-wheel-drive guise. 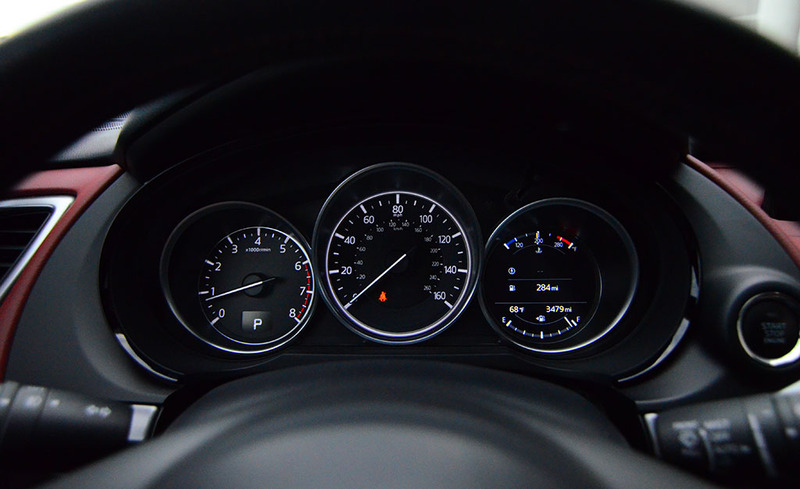 The CX-9 AWD Signature gets 20 mpg city, 26 mpg highway, and 23 mpg combined. Such figures are mostly consistent, which is good, and I was able to match and slightly best the EPA estimates on the highway on a couple of occasions. 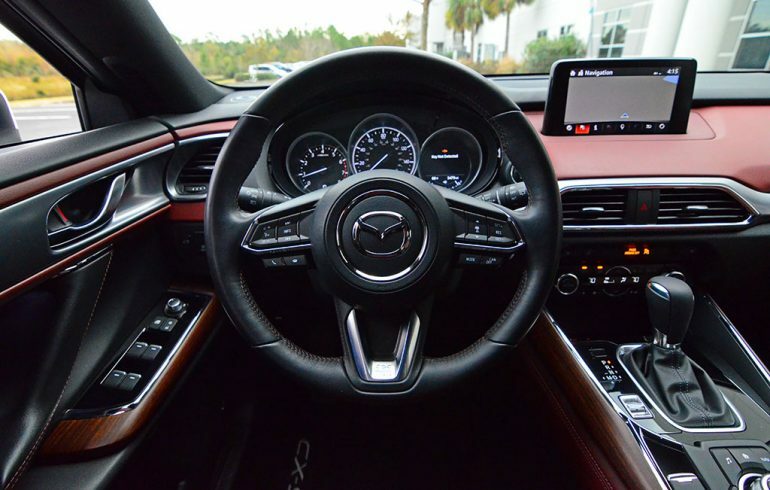 The favorable new designs of Mazda interiors have put the brand into a new category of being very luxury-like. 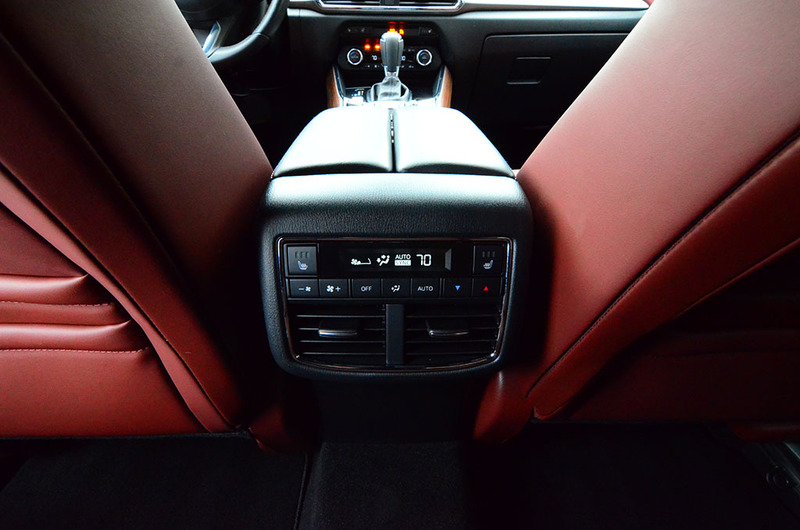 The new CX-9 Signature builds upon such a notion with soft-touch surfaces on the upper portion of the dashboard, an excellent fit and finish to many much of the cabin, and surprisingly comfortable seating surfaces with a clever use of space. 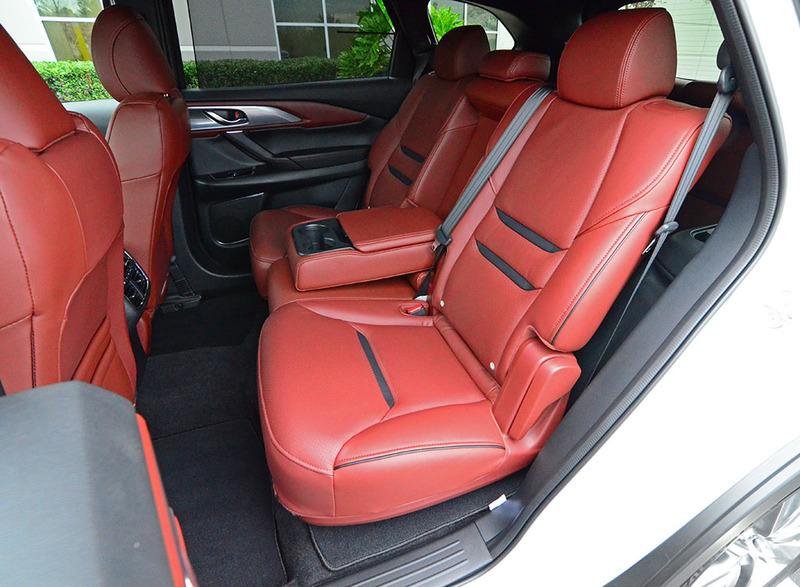 The use of seats that visually look small mostly surprise with good support and a high adjustability up front. 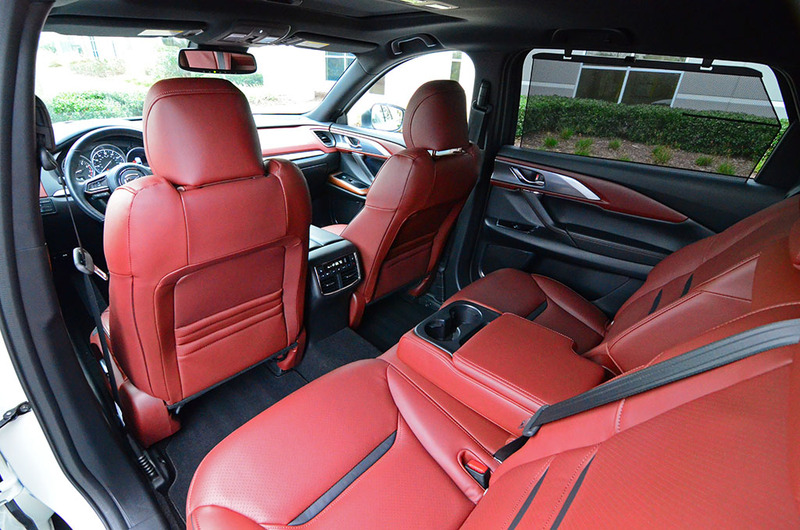 The second-row seats add to the feel of being bigger than it looks. However, the third-row seats are on the smallish side but are just big enough for two smaller adults or kids. 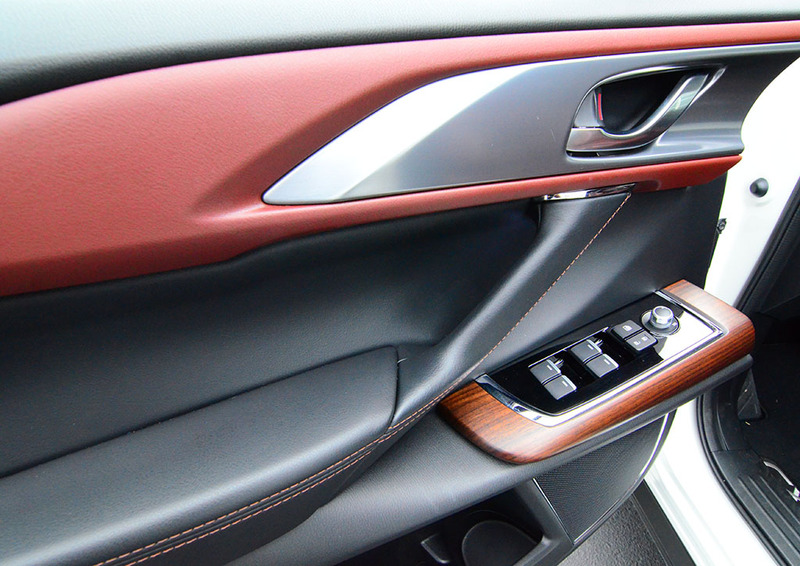 The luxury and premium feel has never been so vibrant in vehicles like the CX-9 until now. 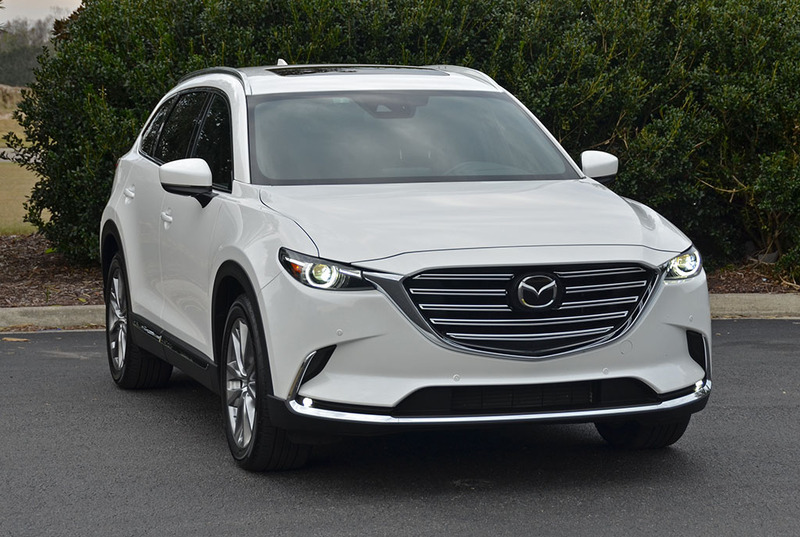 Mazda’s new design language is paying merit in the increase in sales for vehicles like the CX-9, which has also benefited from the surge of crossover sales. 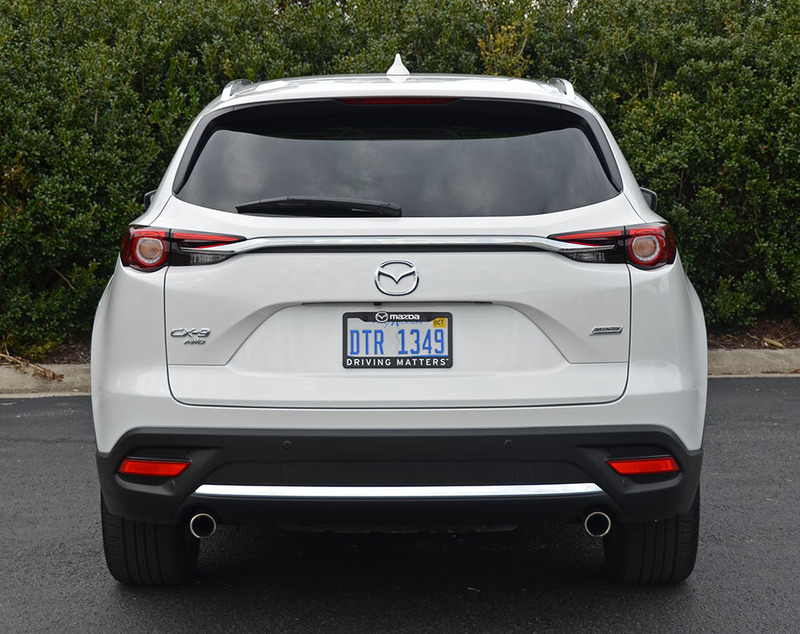 The 2018 Mazda CX-9 Signature is sure a way to get noticed instead of lost in translation as many other crossovers in the broad segment have. 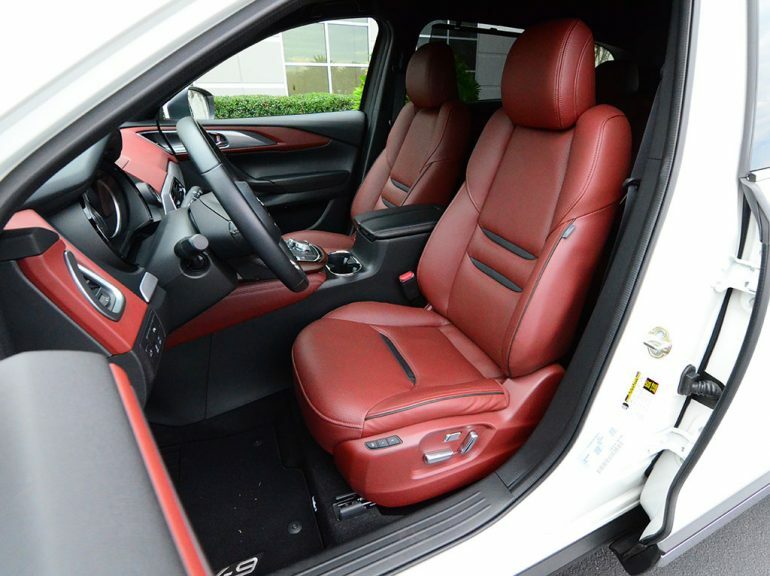 Kudos to Mazda for their remarkable new exterior design that is followed up with a just-as-good interior. 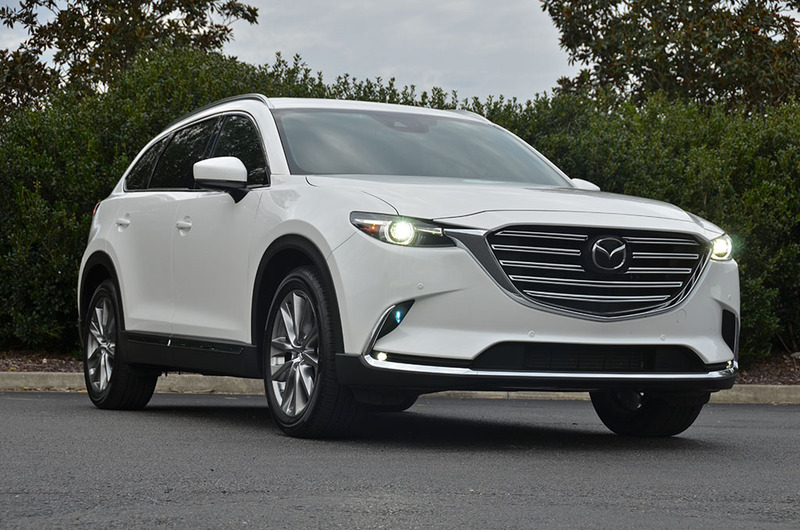 The new 2018 Mazda CX-9 starts at a price of $32,130 and goes up to $45,555 for my top-trimmed fully-loaded CX-9 AWD Signature test vehicle.